Plans for a 13-kilometre tunnel between Malta and Gozo are forging ahead despite controversy. Photo: Darrin Zammit Lupi. The public has not been provided with the details it needs to make an informed decision on the planned Malta-Gozo tunnel, the Church environment commission warned on Thursday. The commission urged the government to publish all studies and research carried out on the alternative options for better accessibility between Malta and Gozo, indicating which offered the best environmental, social and economic sustainability. It also called for the publication of studies on the new jobs and investment that could be created by the different options, and the facts that may still deter investors from Gozo once accessibility was improved. “The Kummissjoni Ambjent (KA) believes there exists no sound and reliable information in the public domain which could help one make an informed analysis of the possible alternatives which would truly improve accessibility between the two islands,” the commission said. 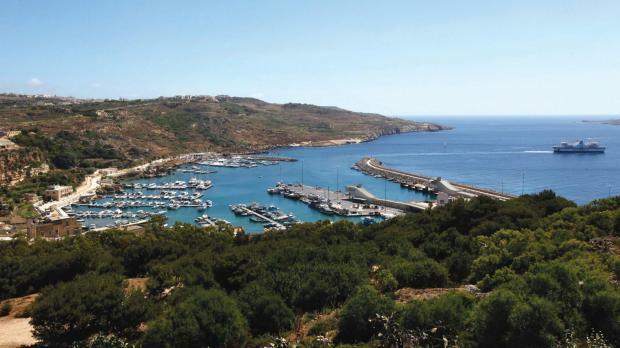 Government plans for a 13-kilometre tunnel between Manikata and Nadur are forging ahead, despite concerns over the environmental impact and increased traffic in Gozo. Studies cited by government have consistently pointed to high levels of support for the project. The commission, however, said arguments in favour of the tunnel were made stronger by the lack of improvement in the existing services, as other options had not been considered or evaluated. It called for the publication of a full cost-benefit analysis of the various alternatives to the tunnel, and a more detailed study of the factors holding back investment in Gozo. “The economic aspect has to be studied in detail, and will have to go beyond the concept that better accessibility (whatever the means adopted) may solve all the economic and investment challenges of Gozo,” it said. The commission appealed to the planning and environment authorities to ensure that the rules governing environmental and social impact assessments were “strictly adhered to without any legalistic stratagems similar to those used in the case of the changes made to the Smart City masterplan”. It also appealed to the Auditor General to ensure the choice of options was above board and gave good value for money for Gozo’s development. “Above all, the selected option should not create negative impacts which would then have to be endured by Gozo and the Gozitans,” the commission said.